Staff burnout and physician turnover have been plaguing the healthcare industry for years, and a one-size-fits-all physician shortage solution isn’t surfacing anytime soon. 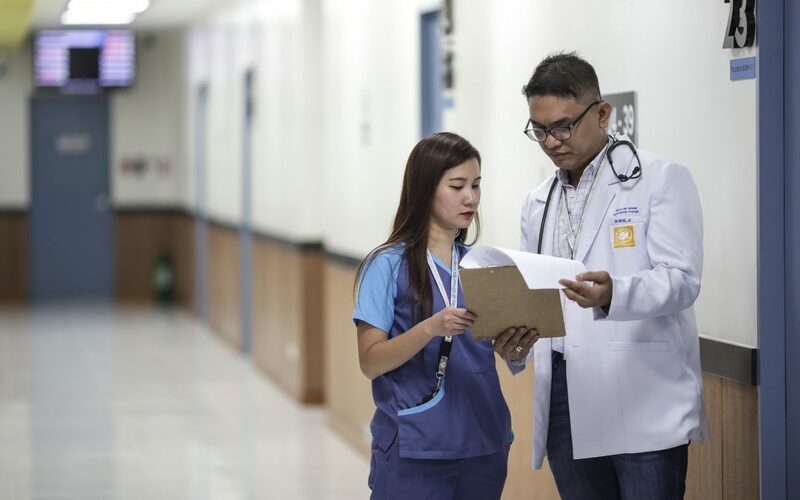 By 2030, the Association of American Medical Colleges (AAMC) predicts a deficit of up to 121,000 physicians, indicating healthcare demand will soon exceed the industry’s ability to supply quality, timely care. Affecting primary and specialty care alike, physician shortages are the result of a number of underlying reasons. A growing population is taxing an already overburdened industry, as the U.S. population increases by over 1.5 million annually. In addition, the average population age is swelling, with an expected growth of 36% in the number of Americans over the age of 65 by 2025. As senior citizens often require more medical attention, there’s simply not enough healthcare providers to go around. Patients aren’t the only part of the population aging. Healthcare providers are getting older, too, with nearly one-third of active doctors aging over 65 in the next decade. As aging providers begin to retire, the physician shortage will post a serious threat to patient access. Staggering wait times and schedules booked months in advance continue to make it difficult for patients to receive much needed care. And while policymakers and medical education programs are working to find long-term physician shortage solutions to reverse the impact, healthcare organizations need to start taking short-term action today in order to leverage the current physician supply more efficiently and prepare for the future. Technology solutions such as telemedicine offer an alternative physician shortage solution, as virtual care models enable providers to expand healthcare outreach beyond their geographical proximity. Although telemedicine can help increase physician utilization rate and widen the pool of available providers, it can’t always replace face-to-face patient and physician relationships, which are an important aspect of patient care. In the long run, solving the physician shortage challenge requires a multi-faceted approach which includes improving the availability and accessibility of medical training programs, as well as increasing the use of advanced practice clinicians such as physician assistants and nurse practitioners. Given that medical training can take up to 10 years, educational resources and training needs to be addressed now. However, it will take some time to see the fruit of long-term, national efforts to protect healthcare organizations from the physician shortage. Therefore, it’s important for healthcare practices to start thinking today about ways they can set themselves up for success today. How can we help our providers work smarter today so they can be prepared for tomorrow? Automated technology solutions might be the answer to combating physician shortage in the short-term. Using scalable systems to help reduce manual efforts is an effective way to free up valuable provider and staff time so they can focus on delivering outstanding patient care at a greater scale. Automation offers a tremendous opportunity to improve patient care in terms of experience, cost, and quality, without expanding care teams through FTEs. The following are four ways automation can effectively help healthcare practices and organizations mitigate physician shortages. 1. Streamlined Workflows. Administrative duties like verifying patient information and calling patients to confirm appointments are often time-stealing tasks that can easily be replaced by automation. Automation solutions can streamline tedious tasks with greater speed and accuracy. And, automating communication workflows, such as reminding patients of upcoming appointments, allows care teams to scale the number of patients they can reach, uncovering additional capacity for providers and staff to spend time doing more revenue-generating activities like meeting with patients or providing service recovery. This can help offset the strain of a resource or physician shortage at your office. 2. Optimized Scheduling Efficiency. In addition to administrative tasks, automation can mitigate scarce resources by systematically creating and filling provider schedules. Automated appointment reminders via text enable patients to confirm their appointment or inform the healthcare office that they need to reschedule, giving the office time to find other patients to fill the open slot. In addition, intelligent automation solutions can identify patients with a higher risk of not showing up for their appointment, so you can double book proactively. This ensures appointment slots aren’t left unfilled, maximizing your clinical team’s efficiency. 3. Proactive Preventative Care Outreach. One fifth of primary care visits involve preventative care such as cancer screenings and immunizations. Automated solutions can ensure patients receive timely wellness visits and screenings, without the manual labor of calling patients as they’re due. In addition, automation can distribute personalized content and messages to your patients in between appointments to help manage general wellness. Educational resources and message frequency can be automatically generated based on your EHR data and criteria to improve compliance to care plans and proactively connect parents and patients to the right care at the right time. This can minimize unnecessary visits that result from preventable diseases, keeping your patients healthier and allowing your existing clinicians to focus on proactive care amidst a physician shortage. A comprehensive automation solution will leverage EHR integration to capture required clinical elements of a population, so reporting is quick and easy, too. While technology solutions do not negate the need for a nationwide effort to recruit and train qualified clinical providers, technology automation offers an immediate solution to the physician shortage challenge by increasing both physician efficiency and capacity. Automation can help your existing clinical and administrative staff reduce their workload while engaging patients at scale before, during, and after care, without hiring additional resources. To learn more about how Providertech is bridging the physician shortage gap for Adelante Healthcare and other health systems, talk to an expert today.